Europe's Young ISIS Recruits: Should They Stay or Should They Go? For weeks, Farid Bouamran, a Dutch-Moroccan immigrant who has lived 30 years in Amsterdam, watched as his son Achraf became increasingly radicalized, tuning in to videos and Twitter accounts online. Within two months, Achraf had traded in his jeans for a dishdasha, or robe, grown a beard, and begun spending time online with Belgian youth his father once called "men with long Arabic names: Abou this and Abou that." Panicked, Bouamran took every measure he could think of to intervene: he brought Achraf to his own mosque to hear the imam speak of a peaceful Islam. He canceled his son's Internet account, forbid him to see his radical Muslim friends, and even followed him when he went out at night. It was no use. Just after Christmas 2013, Farid Bouamran sat in his living room with officers from Dutch intelligence agency AIVD and told them he believed Achraf was about to leave for Syria to join in the jihad. Please, he begged them. Take his passport. Stop him. Not to worry, the officers assured him, he won't get past our borders. But he did get past, flying out of Amsterdam's Schiphol airport the next night to Turkey, and from there, making his way to the Islamic State. A year later, disillusioned by the realities of the life he found there, Achraf determined to return home. But en route to the Netherlands in January 2015, a U.S. missile attack on Raqqa took his life. He was 17 years old. This is not just his story. This is Europe's story, and the quandary Europe's governments are confronting in the face of the thousands of its Muslims who have gone to join the jihad in Syria – and the ones hoping to make the trip. "These people come into your house uninvited," Farid said in an interview with the Dutch press last year, referring to ISIS recruiters. "They enter through the internet, and you cannot stop them." A year ago, Bouamran and the parents of several other young men and women who have joined ISIS began preparing a lawsuit against the Dutch government for its failure to keep their children home. The government, they say, should be doing more to prevent radicalization, and keeping a closer eye on young people who travel abroad – particularly when they leave European airports for countries bordering on Syria and Iraq, and without their parents. But some see it differently. "Just for godsakes, pack your bags and go" – and never try to return, declared Rotterdam Mayor Ahmed Aboutaleb (himself a Muslim) just after the January 2015 attacks in Paris that targeted a kosher market and the offices of satirical magazine Charlie Hebdo. The government, in his view should "get out of the way." From a security standpoint, he has a strong argument: that if these would-be jihadists were to stay in Europe, they would likely just wage their jihad at home. On the other hand, can a government justify sending someone to another country when you know he's going there to kill? Between these two views is a host of legal complications that all of Europe has struggled with since the crisis of ISIS recruiting first emerged. What do you do about those who left and want to return home? Can a country block its own citizens at the border, when there is no hard evidence of terrorist activity? The Netherlands now revokes the citizenship of dual-nationals suspected of having joined ISIS or of planning to make the trip (known as "making hijrah"). 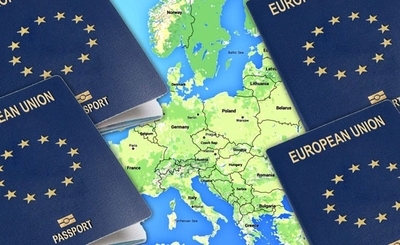 Other countries revoke suspects' passports so that they cannot leave, or cancel passports of those who have already left, theoretically making it impossible for them to return. In response, ISIS has spun a lucrative business in false passports, which it supplies freely. One Dutch journalist, in fact, was able to arrange a Syrian passport for the prime minister of the Netherlands as part of an investigative report. These issues demonstrate how far the battle against radical Muslim extremism goes beyond the reach of intelligence agencies and law enforcement. Aboutaleb's suggestion that would-be jihadists be encouraged to leave and blocked from returning may have merit for those over the age of 21. But how to handle people like Achraf, who was still just 15 when he left home? What can or should governments do about young girls like the 17-year-old Austrian Samra Kesinovic, who was beaten to death trying to escape ISIS a year after she'd joined them, traveling with her 15-year-old best friend? How does a government explain to the parents of such children that they could have stopped them from going, could have saved their lives – but didn't? These are unprecedented questions, for which there are no simple answers. They emerge from a terrorist threat that is unlike any we have seen. But while Europe busies itself in the wake of the most recent terrorist attacks in Brussels with re-examining its intelligence and counterterrorism policies, its governments may want to ponder these questions as well. Because the threat of jihadists in the homeland will continue, even worsen, if they don't. Governments are not responsible, parents can only do so much. They have misplaced their allegiances , made their decision. Allow them to leave I don't want them here, and revoke their citizenship. Revoke the passport that would let them return. Spread the word what happens when you leave to harm America.